While much of the tech industry struggled to create inclusive work environments and free itself from the kinds of workplace harassment allegations that have spewed out of major companies like Google and Uber, Meetup was mission-driven, diverse, profitable, and user-focused. But last year, facing increasing competition, Meetup started negotiating an acquisition with WeWork—and everything changed. Based in New York, Meetup functions as an IRL social network, enabling communities to organize events and bring people together. Instead of aimlessly scrolling through your feed, Meetup encourages you to get offline for cooking classes, clothing swaps, or protests. Rather than guiding users to curate their personality for an audience of hundreds of friends, Meetup nudges them to pursue their passions. Meetup’s neighborly work environment attracted talented engineers—the staff was more diverse than other tech companies, and the startup was actually making money instead of relying solely on investment to stay afloat. Heiferman often spoke to employees and the press about the importance of financial independence and Meetup hadn’t taken investment since 2008, according to Wired. That changed in November, when WeWork acquired Meetup for a reported $30 million. WeWork is the kind of tech company Meetup wasn’t. Valued at more than $20 billion, WeWork is considered a unicorn on par with Airbnb and Uber—a testament to its leadership’s quest to dominate the office-space market. It rents vibes as much as it rents offices, offering trendy co-working spaces stocked with beer, snacks, and hanging plants. It paints a veneer of community among its employees through a mandatory annual “summer camp” where they rub elbows at yoga, swimming, and concerts—perks some Meetup employees viewed as evidence of a bro-centric culture that clashed with Meetup’s sincere user-focused mission. In the run-up to the WeWork acquisition, however, Meetup became unfocused, spending energy on revising its supportive culture and getting rid of employees who didn’t fall in line with a newly redesigned set of values, according to multiple former employees and internal documents obtained by Gizmodo. The cultural restructuring appeared to be driven by WeWork’s impending acquisition of the company, former employees said, and by Heiferman’s anxiety over increased competition with another tech behemoth—Facebook. 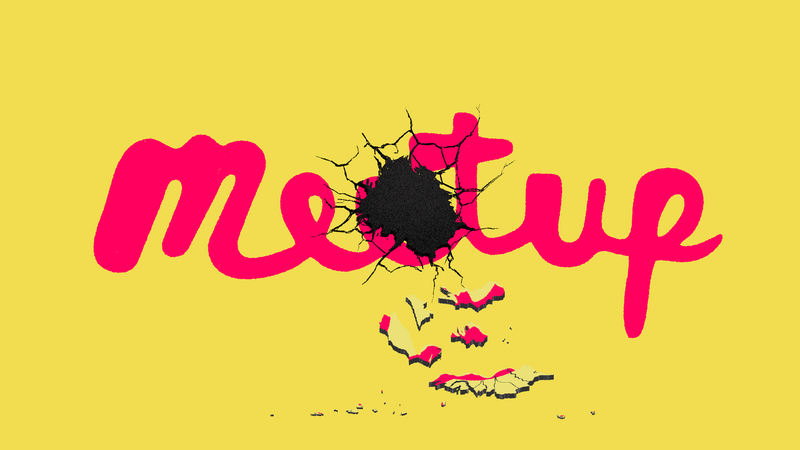 Meetup made its culture a pivotal point in its pitch to recruits. The message was, we’re different. As a platform for community organizers, the company had some social justice cachet over seemingly soulless giants like Facebook. “The company did a good job of operating with the basic decency that is unfortunately difficult to find in the working world nowadays,” a former employee said. Meetup also hyped its high numbers of female and LGBT employees when recruiting, suggesting that new hires could expect a more comfortable, less bro-y workplace than they’d find at another startup. In job interviews, Meetup representatives told candidates that they’d find more women in leadership roles than at other tech firms. But that inclusive culture began to change in the months leading up to the acquisition, according to three former employees, who were let go from the company; they requested anonymity because they were not permitted to speak publicly about their former employer. Last June, Mark Zuckerberg announced changes to Facebook’s core mission—the social media platform would focus on building and supporting community groups, he said. Facebook’s mission pivot aimed to rehabilitate its bruised image, portraying the company as a community hub rather than a fake news factory. But the announcement also put smaller community organizing platforms like Meetup and Nextdoor on notice that they had some heavyweight competition. Zuckerberg’s announcement kicked up anxiety at Meetup and prompted the company to start seeking new investors or acquirers, several former employees said. Heiferman, who had previously spoken about the importance of not taking investment from anyone who didn’t share Meetup’s values, spoke about Facebook’s competitive edge at a staff meeting but dodged questions about whether he’d consider an acquisition. There was a pervasive sense that the company wasn’t moving fast enough, the former employees said, which left some workers buried under an ever-growing list of tasks while others were directionless, without a clear idea of what they were supposed to be doing. In the fall, Meetup revised its company values to focus on growth over community and presented them to employees. The new values—which, according to portions of a slide deck obtained by Gizmodo, included criticisms of management for being too supportive and empowering, suggesting “managers push to achieve more than we think we can” instead—seemed to conflict with Meetup’s inclusive culture and pushed for more aggressiveness in the workplace, multiple former employees said. These new values, which included a call to redefine what “good” meant at Meetup, were presented to the entire staff. Employees were spending too much time building consensus and “comfort, support, and empathy.” Instead, they were told to push each other out of their comfort zones. Some employees saw WeWork, with its hockey-stick valuation propped up by freelance workers who rented their cubicles, as the antithesis of Meetup’s inclusiveness and mission-driven work. In retrospect, they wondered if Meetup was preemptively changing its culture to fit in with WeWork’s more forceful style. Once the new set of values were introduced, former employees said they were hammered by HR and their managers if they did not conform to them. A portion of a slide deck in which Meetup outlines its redesigned values, which was presented to employees in 2017. “Meetup did a good job of recruiting women and LGBT talent. Those people are concerned about the changes because they came to trust that Meetup would take their needs seriously. They’re concerned, and rightfully so, that their needs might not be as much of a concern,” a former employee said. Meetup declined to comment on the motivations for its culture shift and how the changes were communicated to employees. A spokesperson told Gizmodo that it remains committed to fostering an inclusive company culture, citing its efforts to recruit women, students from historically black colleges and universities, and other employees from groups that are underrepresented in tech. “We are proud that our chief technology officer and the majority of leaders on our engineering team are women, and that 50 percent of Meetup’s management positions overall are held by women,” a Meetup spokesperson added. Despite Meetup painting a picture of a harmonious workplace under the new WeWork umbrella, former employees said some of the changes—and one document in particular—created a deluge of discontent that washed many of the former co-workers out the door. If employees were unable to resolve their problems, the company would hire a mediator, the agreement states. If mediation failed, the third and final resolution step would be binding arbitration. Arbitration agreements, which block workers from suing their employers, are common throughout the tech industry. The contracts help companies keep ugly allegations from employees private and cut down on their legal expenses. Like most arbitration agreements, WeWork’s document also forbids employees from joining class-action lawsuits against the company. However, some tech firms are softening their arbitration demands in response to revelations of widespread workplace harassment. Microsoft, for example, announced that it would not enforce arbitration in cases of sexual harassment, and Amazon recently told Gizmodo that it did not routinely require employees to sign arbitration agreements for sexual harassment and gender discrimination claims. A spokesperson for WeWork declined to comment on the arbitration agreement. Former Meetup employees said the document was presented to them as something they had to sign in order to keep their jobs. Meetup declined to comment on whether signing the document was required for continued employment. “As part of the acquisition, there was a you-will-sign-this-paperwork-or-else deal, which I think did intimidate people from talking to other people about what they were signing,” one former employee said. During a question-and-answer session with David Pashman, Meetup’s general counsel, employees asked what would happen if they did not sign the document. Pashman told employees they should not worry about signing because the process laid out in the agreement was legally unenforceable, people present at the meeting recalled. Meetup declined to comment on Pashman’s statements. “He was saying, ‘It’s not enforceable, so just sign it. It’s intended for other people, not you all,’” another former employee said. Employees were later told that they would be terminated without severance if they refused to sign. Former employees who spoke to Gizmodo estimated that as many as 20 people were fired or laid off during the acquisition, amounting to about 10 percent of the staff. Meetup, meanwhile, has publicly asserted that no one lost their jobs. “Our CEO/Cofounder Scott Heiferman is proud to continue leading Meetup, surrounded and supported by the same team of 200 Meetuppers,” the company said in a blog post after the acquisition. “While we did make some changes to our team last year, we are on track to hire for 100 new roles at Meetup this year, with nearly half of those jobs coming in engineering,” a Meetup spokesperson said when asked about the layoffs. So growth it is. But with it came changes at Meetup that rendered it essentially indistinguishable from many other leading tech companies. And while that may be good for its bottom line, it’s a loss for employees who thought they’d found the tech company that was unlike any other.